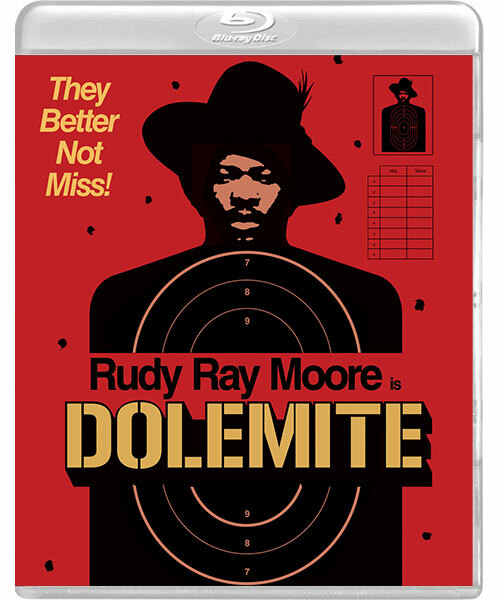 Those crazy cats at Vinegar Syndrome are set to release the Rudy Ray Moore blaxploitation flick 'DOLEMITE' on dual Blu-ray and DVD 26 April 2016. 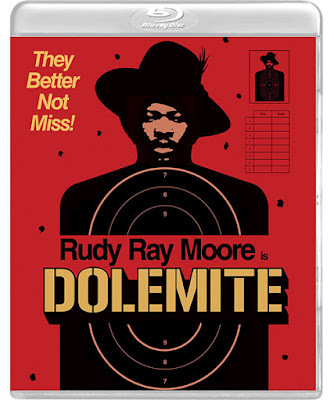 Dolemite (Rudy Ray Moore), the baddest pimp in town, has just been released from prison, ready to take revenge on notorious gangster Willie Green (D’Urville Martin), who set him up on a phony drug charge and stole his club, The Total Experience. With the help of his friend Queen Bee (Lady Reed) and their band of Kung Fu fighting vixens, Dolemite takes on every “rat soup eatin’ motherf#%*er” in South Central. Acclaimed comedian Rudy Ray Moore’s outrageously funny and action packed blaxploitation classic, makes its worldwide blu-ray debut, fully restored in 2k from a recently discovered 35mm negative and loaded with extras, including a new making-of documentary by Elijah Drenner and a historical commentary track from Moore’s biographer Mark Murray, featuring interviews with Moore as well as co-stars Jerry Jones, Lady Reed, John Kerry, cinematographer Nick Von Sternberg and more! Following the release of 'DOLEMITE', Vinegar Syndrome will be bringing its outrageous 1976 sequel, 'THE HUMAN TORNADO' to Blu-ray (May 2016), along with Moore's 1977 horror-comedy 'PETEY WHEATSTRAW' (June 2016) and finally his 1979 absurdist classic, 'DISCO GODFATHER' (July 2016)! You can pre-order your very own copy of 'DOLEMITE' here.